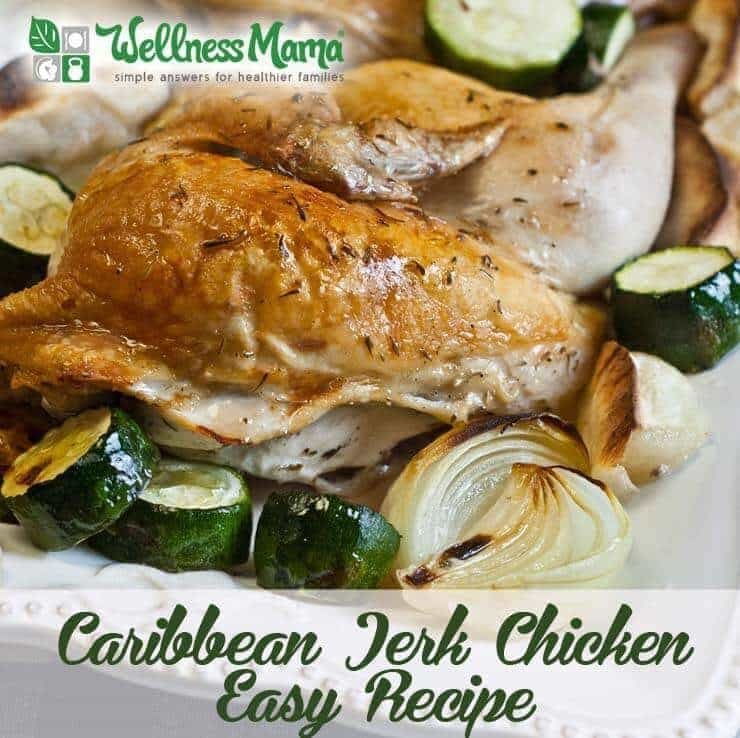 Anyway, since there are no places around here that can make good jerk chicken, I played around with recipes until I found this Caribbean jerk chicken recipe, which is Ah-Mazing! 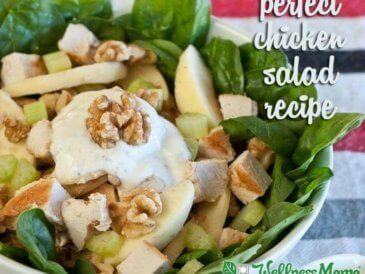 If you like these flavors I highly recommend trying this recipe! Note: Flavors are best if you let the chicken marinate overnight before cooking. Recipe serves 4-6 people and makes great leftovers to scramble in eggs for breakfast or take for lunches on the go. 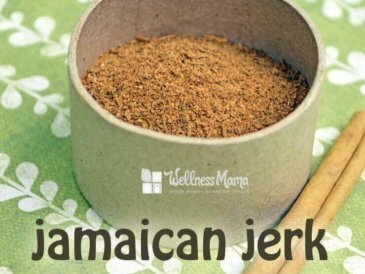 A delicious and healthy jerk chicken recipe. If using a whole chicken, cut in half (see notes). 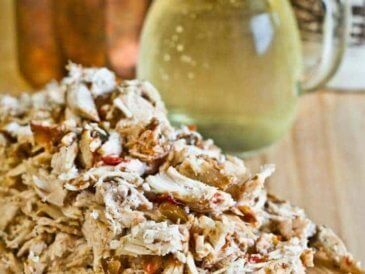 In a food processor, combine all remaining ingredients and process until it forms a paste. Rub the jerk seasoning paste over the chicken halves. Marinate in the refrigerator for at least a few hours or overnight if you can. After the chicken is done marinating, preheat the oven to 375°F. Place the chicken in a large roasting dish and place in oven. Roast for 45 minutes to 1 hour or until chicken is cooked through. 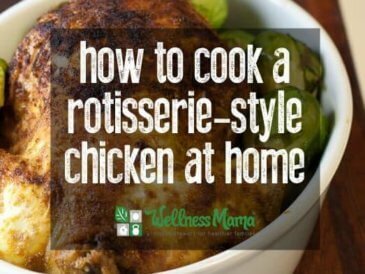 Remove the chicken from the oven and let rest 10 minutes. Remove from the bone and serve with vegetables. 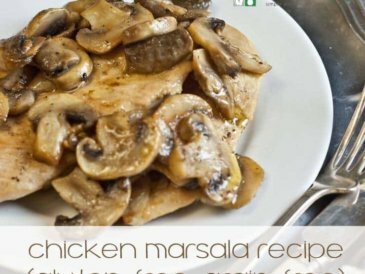 There are a couple ways to halve a chicken: you can have the butcher do it for you or you can do it yourself with a sharp knife; just cut lengthwise through the middle of the breast leaving a leg on each side. Toss to combine and roast with the chicken for the last 30 minutes until slightly soft. Do you like Jamaican/Caribbean flavors? Ever been there? Share below!